R and I were working very hard almost immediately after our wedding and soon, I got pregnant. I didn't realise I was pregnant until almost the end of my first trimester. Little did I expect my pregnancy would be filled with so much tears and emotional pain. R suddenly fell sick one random afternoon after sending a friend to the airport. Anyone who knows R will know that my man hardly falls sick. He's like the modern day Iron Man. The next thing I know he was vomiting so much and he complained of massive headache. Me, on the other hand had pretty bad morning sickness and I couldn't eat anything except vegetables. But instead of giving a hoot about myself, I had to find out what was going on with R.
He visited the oh-so-hopeless polyclinic twice and all they gave him was paracetamol and told him to "have a change of lifestyle". (WHAT THE EFF!) I asked them for a referral letter to have a check at the hospital and they advised not to waste money. Even though he was on MC, he still picked me up from work but one particular night, he lost his memory for a few hours and found himself asleep under the void deck near his place without his car and slippers and by the grace of God, he wasn't robbed or hurt. My mom always taught me to be very careful when it comes to health, being a kidney patient herself since she was 21, she has always been very well-educated about medical. I called my mom and told her what happened and that evening, she rushed to my mother-in-law's place and dragged R and I to the A & E in SGH. The ER doctors scheduled R for an emergency MRI after we related the symptoms over the last five days. We went home and R slept through the night while I started to worry. I had a bad feeling. The next day on our way to work, he received a call from the hospital and true enough, it was bad news. He had a blood clot in his brain and it was nearing his occipital lobe. The doctors in charge of his case had prepared a bed for him at the High Dependency ward and instructed him to take a taxi and head straight to the hospital for admission. He broke the news to me and I almost passed out. We went to office first, told our boss the situation and arranged for our classes to be relieved for the next few days. I called my mom and broke the news to her in tears. That evening, R was in High Dependency and he still couldn't understand how the clot even formed. He did not hit his head and gotten into any accident. My mom consulted her renal doctor and she introduced a senior consultant to treat R. Over the next two weeks in hospital, it was rounds of test and complete rest in bed for R. Lucky for me, my OB-GYN was in the same hospital so I went for my check alone and told my doctor what had happened. He told me that going through the 2nd trimester would be tough if I don't try to control my emotions. My baby would be affected if I continued to be depressed. So I spent my days in the hospital with R, chatting and he told me he was going to be fine. I know he was worried as well but he had to keep his spirits up. Because of risks, he was denied surgery. So after he was discharged, he was given a very long medical leave and had to be on anticoagulant medication to thin out the blood clot and had to rest well because his doctor said the only possible reason he could think of that caused the clot was stress. DAMN I HATE THAT WORD. For some reason, our boss thought since he was unfit for work, might as well give him indefinite medical leave and he didn't have to report for work again. ANOTHER BLOW TO US. So I continued to work because I couldn't leave my students and R recuperated at home and he felt guilty because I was the only one working and my belly was growing each day. Few weeks later, his good friend asked him to help lead the Science Department in his tuition centre and the rest was history. Till date, I make sure he doesn't get too stressed up and constantly remind him to slow down. During that same period of time, my (late) grandmother was getting ill. She suddenly slipped into dementia and her body just couldn't function as per normal anymore. Mom was getting worried but somehow, prepared for the worst. I remembered going home to visit my grandmother on 13th May 2009 and she couldn't remember who I was until much memory game. I managed to feed her some porridge with her body leaned against my big belly and she suddenly told me that I was going to have a girl. She also reminded me to take care of my little one and not grow up to be like me. (Thanks ah..) I felt uneasy after hearing all that she said and my then-housekeeper told me that she had a bad feeling about my grandmother. I told her, if it was time for her to go, we have to accept it. I went home and didn't think about anything. The next day I got into an argument with R (for the very first time) over something and I headed out all by myself. I refused to see R for that day and had R hunting for me high and low. (drama moment again!) That day, I wanted to go home and visit my grandmother but somehow I got into the taxi, I didn't ask the driver to head to my home, but instead I went back to my MIL's place (where I was staying then) and rested for the day. R came home early and we managed to patch things up and went out at night to meet a friend for supper. That night, I had a bad feeling something was going to happen and Sophia could not stop kicking in my belly. 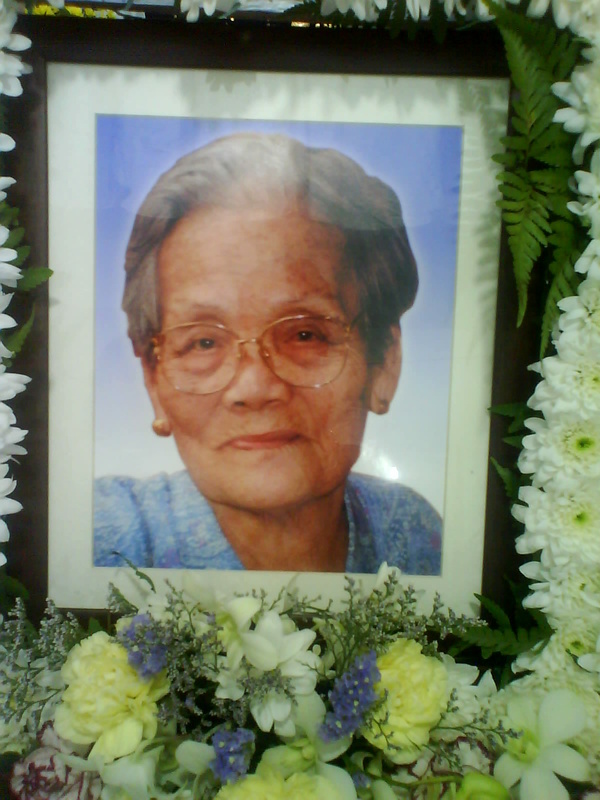 15th May 2009, Friday morning, I received a call from my mom at 0530am and I knew my grandmother had passed away. She didn't even had to say anything. She just said, "Girl, come home. Send Ah-Ma off for the last time." I woke R up and I sobbed and shivered. Millions of thoughts ran through my blank mind. How could I have not gone home to see her for the last time? How could she just go without saying goodbye to me? She was the very first person so close to me that left me. All the times we shared for the last 26 years came pouring into my mind. The only comfort was she managed to witness my wedding. I was crushed. I got changed and R sped home and the moment the lift door opened, I dashed into my house in tears and went to my grandmother's room. I saw her lifeless body there and I just passed out. Imagine the drama! R had to like hold me up and my mom had to attend to the doctor who had to certify her death and all that jazz. R went to apply compassionate leave for me and my boss had to call me 3 hours later to bug me for my students' worksheets and all the work related issues. He did not even had the courtesy to offer his condolences. I yelled at him and told him to f*** off. Literally! Fast forward, my grandmother's funeral went on for five days. We had to wait for my uncle to return from New York and my aunt & cousins from Brunei. Even my dad, on his wheelchair, came to pay his last respects. That five days for me was mental and emotional torture. My eyeballs were swollen and puffy and I couldn't eat. Sophia didn't even kick or move much during the funeral period. Guess she had a feeling momma wasn't feeling the best so she'd better behave! My mom was a wreck. Her mother was her pillar of strength and she was literally with my grandmother, together in the same house for 50 years. Imagine the pain? My grandmother was her everything. They laughed & cried together. Though my mom has an existing illness, she gritted her teeth and made sure she gave my grandmother a comfortable life. She was the youngest child, and the only child who knew about her life story, from China to Singapore. I was the only grandchild who knew about my grandmother's life history. We shared a very deep bond with the old lady. On the final day and the send-off, all her children, grandchildren and great grandchildren had to sit for the last prayer (she was a Methodist) before they close the coffin. I broke down in tears and R had to hold me while 2nd Uncle held on to my mom. Because we were the closest to my grandmother, both my mom and I led the send-off. It was the most painful moment and an emotional send-off. I moved back home before giving birth to accompany my mom and I even slept in the same room and bed my grandmother once used. The good news after the entire dramatic 6 months was I was expecting a baby girl, as predicted by grandma. I gave birth to a healthy baby girl later that year and the birth of Sophia gave my mom a reason to smile again. She got her life back on tracks and after my one month so-called confinement, I brought Sophia to the cemetery to visit my grandmother. Nope, I'm not superstitious and Sophia wasn't even affected in any ways. Till date, I still miss my grandmother. So life without dramas isn't life, right? 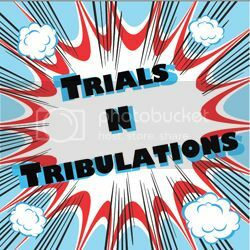 With each trials and tribulations, it made me stronger. How did my mom became who she is today? She got it from HER momma. How did I become who I am today? I got it from MY momma!